Wonderfully prepared buffet, games and events for the kids. A memorable day for the entire family. Memorial Day Weekend at the Owensboro Country Club is always a special time. Games, fun, food and friends is our secret recipe for having a memorable time. 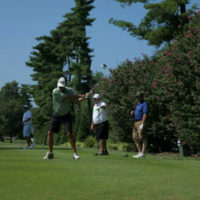 Our Member-Guest Golf Tournament is a huge success every year. Our 4th of July Fireworks show is enjoyed by all of Owensboro and is the best in town. Come have a SPOOKTACULAR time at our Halloween Party. Wonderfully prepared buffet, games and prizes, treats, activities, and fun events for the kids and adults as well. Wonderfully prepared food, games and events for the kids including inflatable slides and bounce houses. PJ Party with Santa at the Owensboro Country Club is always a special time. Games, fun, food and friends. Hanging out with Ole Saint Nick is legendary.